A look at Keita in action. 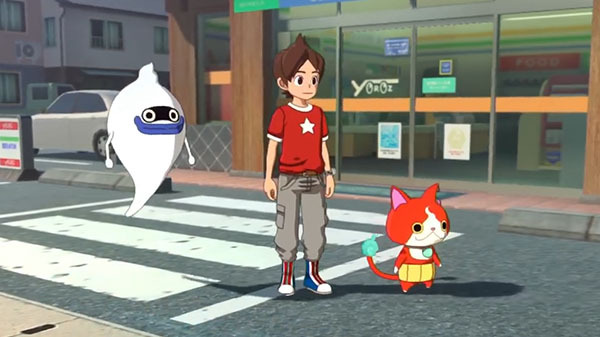 Level-5 has released a 12-minute direct-feed gameplay demo of the Yo-kai Watch 4 demo playable at World Hobby Fair Winter 2019. CoroCoro also published an off-screen six-minute gameplay video. World Hobby Fair Winter 2019 ran from January 19 to 20 in Nagoya, and will run from January 26 to 27 in Tokyo, and February 17 to 18 in Osaka. Yo-kai Watch 4 is due out for Switch this spring in Japan. If you missed it, watch the latest trailer here and read up on the latest information here. Available from 0:37 to 6:34.